I added this to my order as a goof even though I thought it sounded sort of gross, but when I tried it I was totally surprised. I loved it! Now it's one of my favorite flavors and I just placed an order for more. The maple taste isn't overwhelming as I expected but nicely balanced. The taste is somewhat like a teriyaki flavor but with a touch of maple. 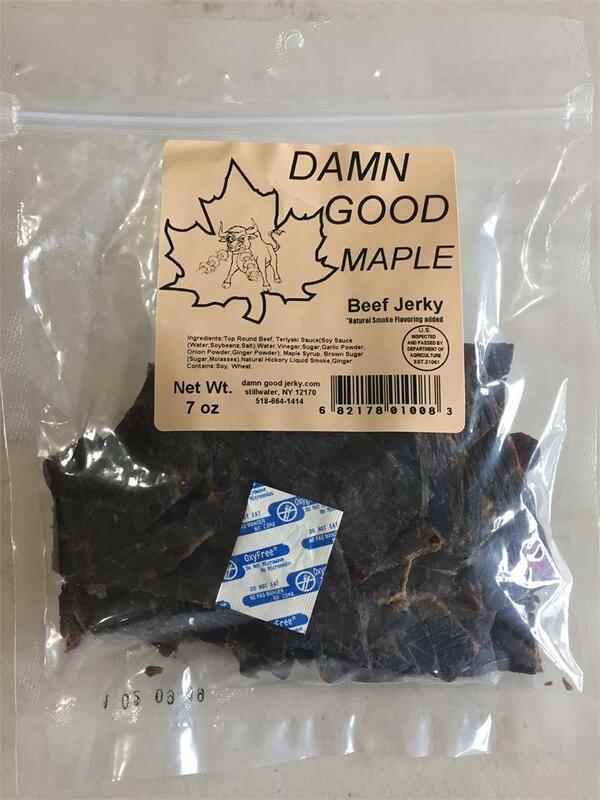 Bought a few packages of this during my last order as a gift for a few friends. Maple flavor isn't really my thing. But everyone who tried it was blown away with the strong, great flavor it has. Not one person who tried it was disappointed. Tasted great and was perfectly tender. Think these gifts might have added a couple new customers.